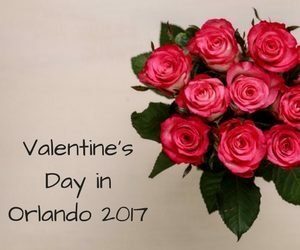 With Valentine’s Day right around the corner, are you going to go the boring candy and flowers route, or will you step up to one of the many unforgettable experiences we have right here in Orlando? With nearly limitless things to do, finding the right activity might seem impossible; but we’ve compiled a list of our favorites to get you started! The Perfect Marriage Proposal at Discovery Cove – We all know that Valentine’s Day is one of the most popular days for marriage proposals, so if you’re planning on popping the question, why not do it with the help of a friendly dolphin? Discovery Cove’s professional photographers will capture every moment while you enjoy the start of a new chapter of your life as you sunbathe and dine under the palm trees. Romantic Disney Carriage Rides – Just like in the movie, you too can have your own perfect Cinderella moment as you ride in a romantic horse-drawn carriage through either Disney’s Fort Wilderness Resort, or Port Orleans – Riverside. Balloon Rides – Get a view of The City Beautiful from above with a hot air balloon ride. You’ll see the theme parks, swamps, and cityscape in a totally new way that is truly breathtaking. Lake Eola Swan Boat Rides – Explore the oasis in the center of Orlando, Lake Eola, with your sweetheart in a romantic swan boat. No reservations are required, and double dates are encouraged! Medieval Times Dinner & Tournament – A favorite of tourists and locals alike, Medieval Times makes for a fantastic way to spend your Valentine’s Day. Book your reservation now through February 15th and you’ll receive the dinner and show for two, a photo to remember the occasion, souvenir glasses with champagne, and a box of chocolates to share. Taverna Opa – If you enjoy Greek flavors and atmosphere, take your significant other to Taverna Opa for a Valentine’s celebration filled with fantastic food and belly dancing. Prices start at $85 per couple. Don’t fall into the same Valentine’s Day routine as last year, switch it up and show your significant other how much you care with some of the fantastic activities that Orlando has to offer, combined with a luxurious getaway with us here at the Rosen Inn. Book your stay with us today!